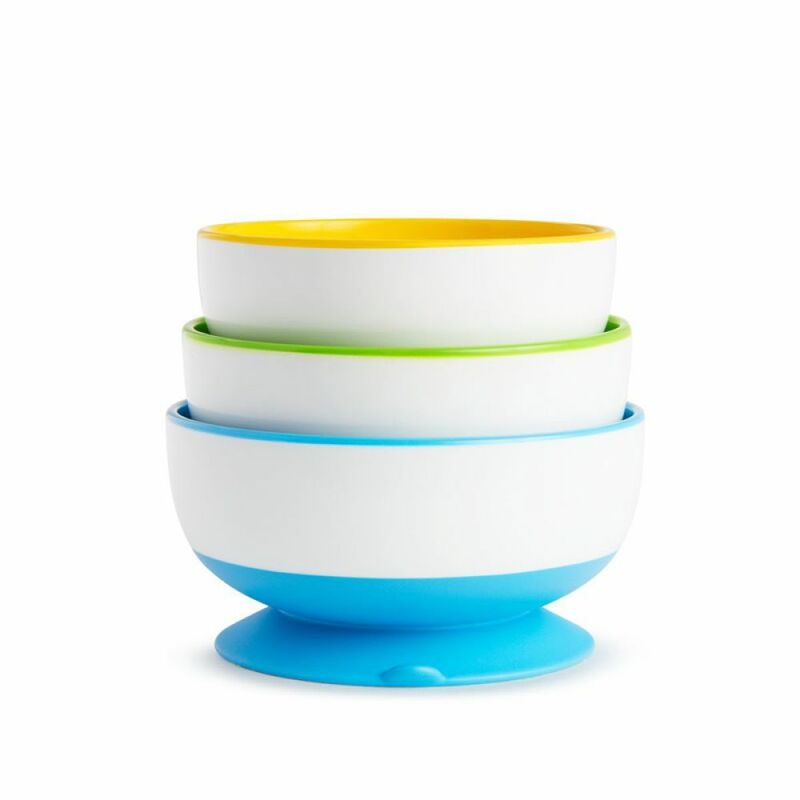 The 3 Pack Stay-Put Suction Bowls by Munchkin include a set of 3 different sized bowls to accommodate various stages of weaning and different types of meals. Each bowl has a handle which is designed to help feed at early weaning or self feeding stages and comes with a permanently attached suction base which helps to prevent spills by securing the bowl to a highchair or tabletop. The bowls are top rack dishwasher safe and come in assorted colours. BPA Free and suitable from 6 months+.